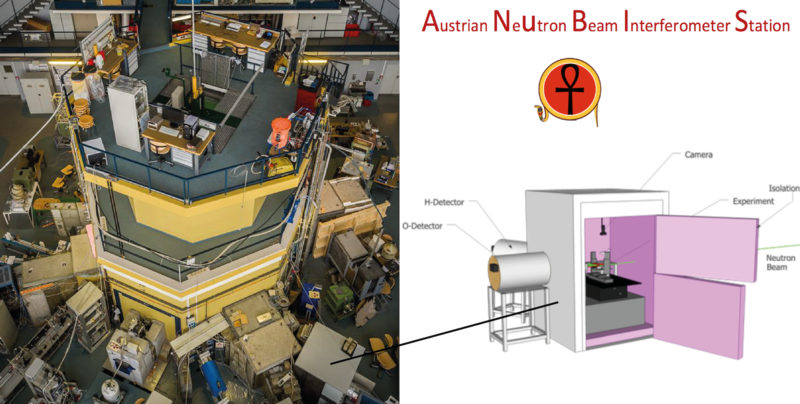 ANuBIS is an acronym standing for Austrian Neutron Beam Interferometer Station. The interferometer instrument is located at a direct beam port of the 250 kW TRIGA reactor at the Atominstitut – TU Wien, Vienna (Austria). (left) New laser alignment system, sample holder and temperature sensors (installed Jan 2018). (right) New detector system 0.25 inch high precision detectors for time correlation measurements (installed Feb 2019). More picture of our recent experiment investigation the 4 symmetry of neutrons with 3d printed magnets can be seen here. W. Kersten, L. Brandl, R. Wagner, C. Huber, F. Bruckner, Y. Hasegawa, D. Suess, and S. Sponar, Additive Manufactured and Topology Optimized Permanent Magnet Spin-Rotator for Neutron Interferometry Applications, ArXiv:1810.13225 [quant-ph] (2018).